Leo’s arrival was mostly a blur. I had lunch plans with a few friends on Thursday afternoon but by mid-morning I was feeling a bit off and definitely getting some sensation in the belly. At the time, I thought that maybe these were the fabled Braxton Hicks contractions I had heard so much about. A bit painful, maybe, but mostly just like a lot of pressure. I took a bath, cancelled lunch plans, and felt better by the afternoon. In hindsight, I think maybe this really was the beginning of things but the rest of the day I felt all together decent. Maybe a bit of pressure, but nothing major. I kept it low-key all day, we walked to the market for dinner supplies, and rounded out the evening watching a Bond movie – like you do. At bedtime everything seemed normal. I woke up around 2:30am feeling a bit more serious pressure, this time coming in distinct waves, but as I lay in bed and timed each one, things still seemed relatively mild, but painful enough and regular enough that I wasn’t comfortable. 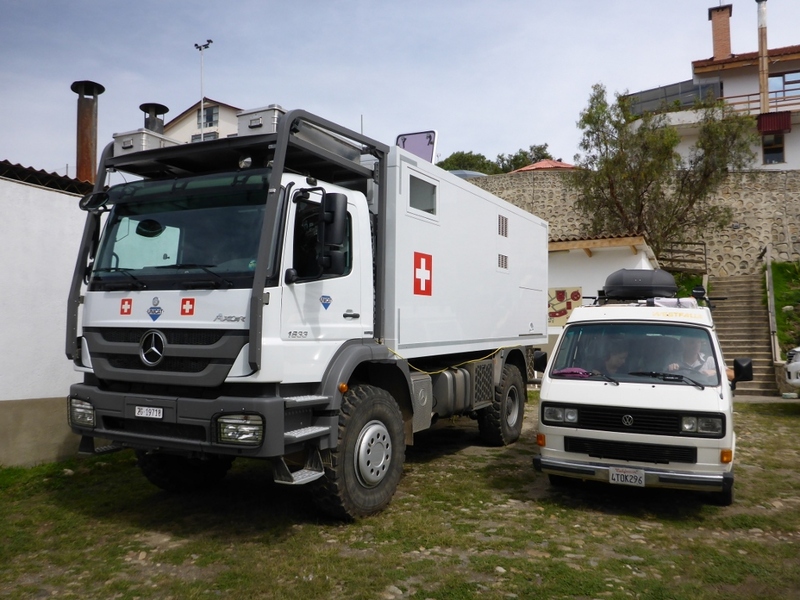 Thinking they might still be a false alarm, I decided to take a warm bath. My ruckus in the bathroom woke up Wolf and he found me laying in the tub timing contractions just when things were starting to feel real. I still wasn’t sure though if this was it, so Wolf called Shanay, our doula. At this point, my contractions were 3-5 minutes apart and I was struggling to breathe through each one. Shanay suggested we see how things progressed and call her back in 15 minutes. As soon as we got off the phone, I told Wolf we had to leave for the hospital. All of a sudden it felt like things had escalated and I felt a bit panicked that if we didn’t leave immediately, I wouldn’t be able to get out of the house, and we certainly weren’t planning on a home birth. Wolf called a cab while I tried to get dressed between contractions. Not easy. We gathered our hospital bag, throwing in everything but the kitchen sink at the last minute. When the cab hadn’t rung the buzzer, we called again and he told us he had left because we weren’t outside waiting. As I slowly made my way down four flights of stairs, pausing to enjoy a contraction partway through while trying not to wake the neighbors, the taxi came back around and we headed out. I absolutely thought the baby was going to arrive in the cab. 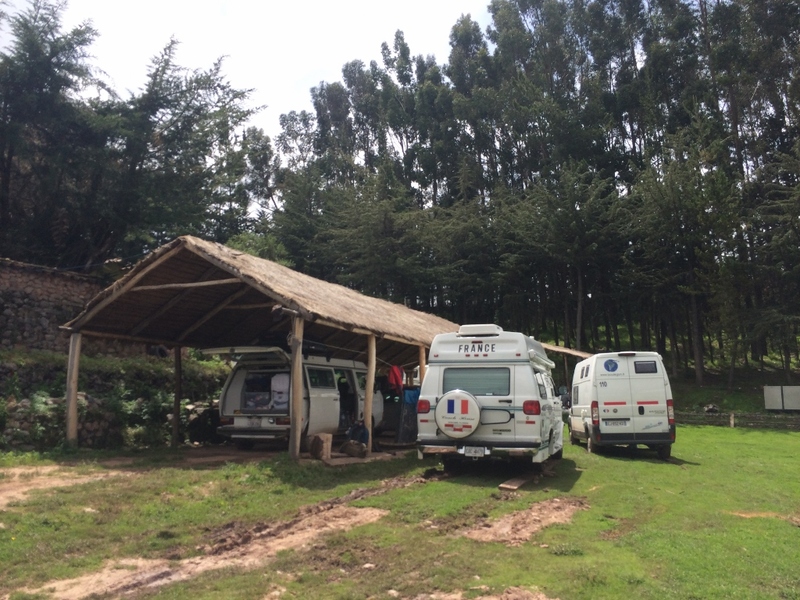 While the hospital is really only a few kilometers and a 10 minute taxi ride away, those 10 minutes were agonizing. In hindsight, I was ready to push then, but as a first time mom I had no idea whether this was still just the beginning or if the end was near. We were such novices that we weren’t exactly sure which hospital entrance we needed, although luckily our cab driver had a pretty good idea. 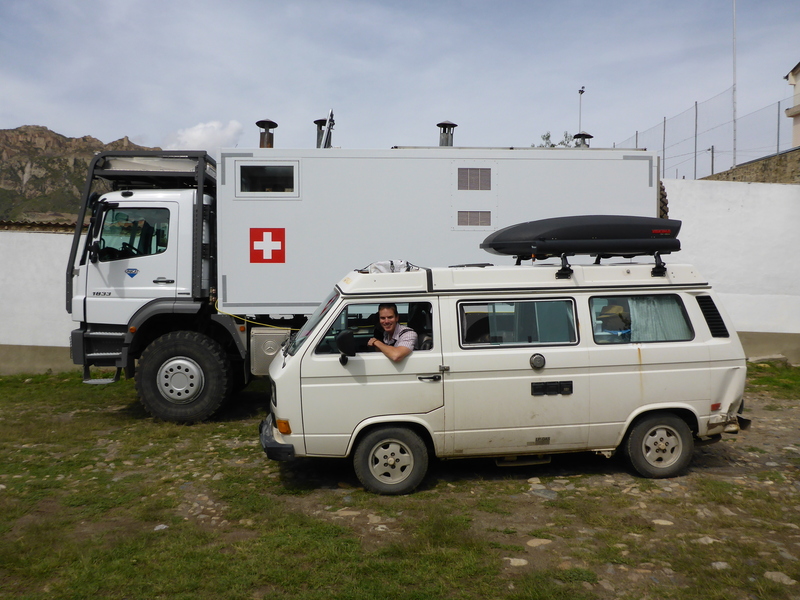 As soon as we pulled up to the delivery ward I stormed inside as best I could, rang the buzzer to call a midwife, and proceeded to double over on the nearest hospital bed. One of the first things the midwife asked me was whether I was a first time mom, at which point I knew she was gearing up to tell us that things weren’t quite as far along as we’d thought. But when she checked me between contractions, she was as surprised as we were that I was already 10am dilated. “The baby is coming,” she told us and immediately I was wheeled into a delivery room. It was 4am. The rest seems like a big blur. And I’m not going to lie – the pain was more than I thought I could handle. Because things were moving so quickly, we barely caught the name of the midwife who would be delivering our child, and we certainly didn’t have time to talk about or really even administer any drugs. Although I’d said all along that my hope was for a natural birth, I’d also always said that if things changed I wouldn’t have a problem with adding pain medication to the mix. And had there been more time, I would have asked for all the drugs. I mean everything. But everything was going so fast that I felt almost out of control and it was all I could do to breathe in between contractions. The system in Germany is a bit different from what I’m used to, in that your OB provides pre- and post-natal care but does not deliver your child – that falls to the on-call midwives at the hospital when you arrive. So leading up to the birth I’d had some apprehension about dealing with someone we had never met who may or may not speak English. I shouldn’t have worried, because Anneke, the midwife who met us at the door and delivered our child, took awesome care of us. Our communication in English was just fine, and it was probably better that I didn’t understand when she switched to German to explain what the beeping machines meant, or discuss what the baby’s heart rate was doing. Anneke did a great job of suggesting alternate positions to try – on my knees, on my side – but in the end I was so uncomfortable that laying on my back was the only way I felt like I could survive each contraction. Wolf held my hand the entire time; it felt like my lifeline. Just when I felt like I couldn’t push anymore and my entire body was about to tear open, our baby boy was born. The midwife immediately wrapped him in a towel and placed him on my chest and Wolf and I held him together and kissed each other and maybe even cried. It felt like an out-of-body experience to look down and see our child and realize that he had been inside my belly just moments before. And I couldn’t have loved our son or my husband any more than I did at that moment. It was so special to look at Wolf and look at our child and realize that we were a family. Just like that, in an instant, everything was different. I was holding our baby in my arms. He was actually here. And he was ours. Somewhere in the midst of the pushing and chaos our doula had arrived. We had anticipated that, like many other first time moms, our labor experience would span hours upon hours, maybe even days, and so we’d decided to include a doula in our birth to help coach us through the unfamiliar territory of labor, birth, and the aftermath. If I had known things would go so quickly, I might have done it differently. As it turns out, our doula probably made it for the last 15 minutes of labor, but we were glad she was there to help make sure things wrapped up smoothly and we transitioned to into parenthood with a bit of reassurance. In the end, we had arrived at the hospital at 4:00am and our baby was born at 4:50am. Things had gone so much quicker than any of us could have imagined. And even though I was exhausted and had no idea what state my body might be in, I was incredibly proud that I had ended up with the completely natural birth I had hoped for. After hearing stories from so many amazing women of birth plans that never came to be, I felt so lucky that my body had come through for me. While I held our baby, Wolf cut the umbilical cord. Later, the midwives and our doula coached us through breastfeeding for the first time which thankfully went great. They weighed and measured our baby (3,420 grams and 49cm long) and made sure he was healthy and thriving. Wolf got in some good skin-to-skin time while I showered and changed clothes. Before long we were moving into a family room where we would spend our first night with our baby. I kept wondering why they trusted me to hold this baby and why they felt like they could leave us alone with him. Why weren’t they monitoring us and making sure we weren’t breaking him? In the end we stayed in the hospital for just about three full days and two nights, and the whole time I was surprised at how hands-off everything was. The midwives and nurses were certainly ready to provide help if needed, but they also weren’t actively monitoring what we were doing with this brand new human. It felt so strange. The nurses walked us through diaper changing and breast feeding. They checked on how I was recovering and monitored both the baby and me to make sure we were comfortable and healthy. The first night we got nervous in the middle of the night that our baby seemed to be making congested noises so the nurses took him away for a few hours to monitor him. The second night they took him for a few hours again to wrap up some of the standard tests. But the rest of the time, Wolf and I woke up every few hours, either trying to figure out how to feed him, or listening to make sure he was still breathing. Like all new parents, we spent our first days and nights bleary-eyed and still in shock. One of the most vivid moments for me was sitting down to breakfast in the tiny cafeteria and looking around at all the other parents and babies and wondering how they all looked so casual, like they already knew what they were doing. We also spent the first days and nights in awe of this amazing little being that we had created and brought into the world. What an amazing feeling to come face to face with a part of both of us in human form. We snuggled him and held him and stared at him and it felt like exactly what we should be doing. We even ventured outside the hospital to take a few short walks – it felt so exciting to introduce our baby to the world. At one point the nurses came by and asked us if we were willing to be photographed and interviewed by The Berliner Morgenpost newspaper for a “Wilkommen in Berlin” article. Who knows why they chose us, but at some point the reporter came by to take down a few notes about us and snap our photo. He warned us though that our baby needed a name in order for them to run the story. We’d come to the hospital with a handful of names in mind, but without knowing which one would really fit and strangely, the deadline from the reporter was eventually what pushed us to finally decide on a name. We mulled it over for a few days, and in the end, we named our baby Leopold Walter John Schroen. We knew in advance we wanted to include our fathers’ names as middle names. And eventually, we decided that our baby really was a Leo. The last box to check before leaving the hospital was completing the second checkup. The pediatrician checked out Leo’s skin and limbs and reflexes and pronounced him in excellent health. Which meant we were free to leave. We packed up all our gear and changed Leo into something exceptionally warm and cute, and much to his chagrin, we buckled him into his car seat and started our exit with a crying baby. Leo stopped crying once I picked him up but I couldn’t hold it together past the cafeteria. Before we’d even cleared the hallway I was overwhelmed by the idea that we were leaving the comfort and safety of the hospital, and exiting into a cold, dark night, expected to know how to care for our tiny, helpless son. It was almost debilitating – fear, adrenaline, confusion, exhaustion… watching Wolf care for Leo the last few days in the hospital I had every confidence in his abilities as a father, but I felt like I had no idea what I was doing. And at the same time I was overwhelmed by my hopes and dreams for our sweet baby. I knew I was riding the hormonal roller coaster but I had no idea that just leaving the hospital would hit me this hard. But we’d reached the point of no return, so we called a cab, buckled our son into the backseat and brought our little Leo home. We introduced him to his furry brother, Eddie the cat. We gave him a tour of our home and showed him all his new stuff. And then, because we weren’t sure what else to do, we turned in for the evening and enjoyed our first sleepless night. We had officially become parents. 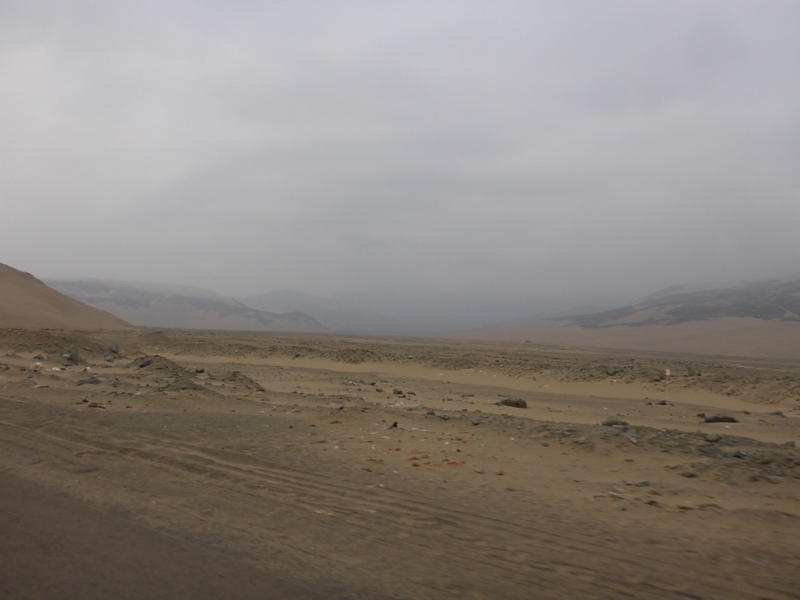 After navigating the Lima traffic we were treated to more of the same apocalyptic landscape – huge dunes and sand as far as the eye can see. 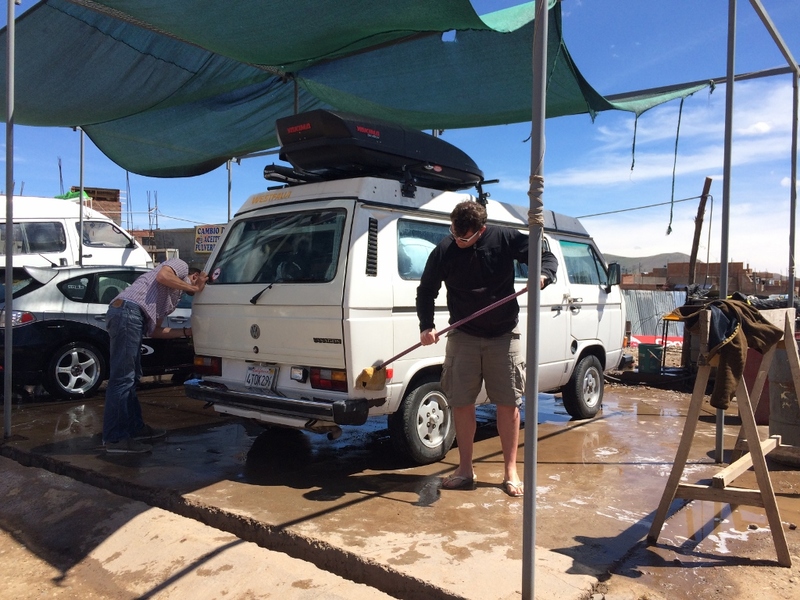 Our last morning in Cusco we spent packing up and chatting with the other overlanders, including another couple in a Volkswagen – we found out he’d spent the last two years customizing and restoring their van in anticipation of this trip. 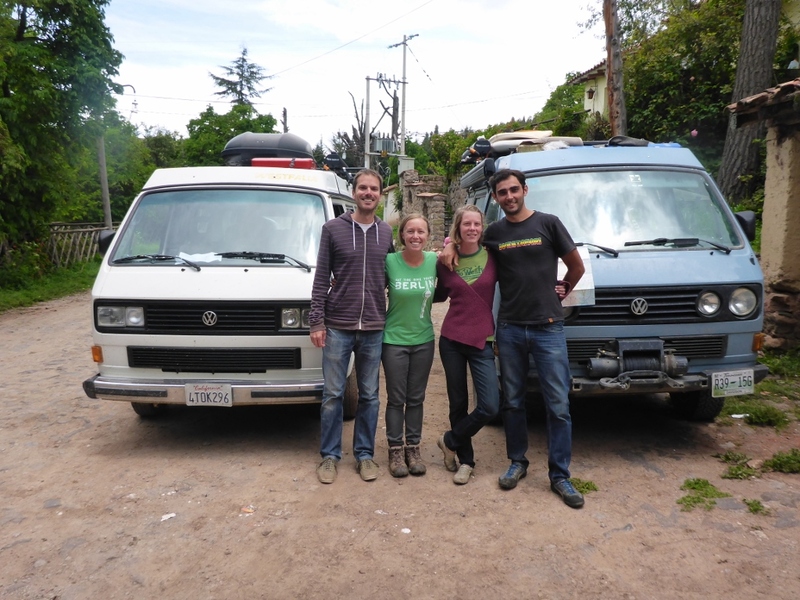 We admitted to him that we’d only bought our van a couple of months before leaving and we had a lot of fun comparing notes and checking out each others’ vehicles. 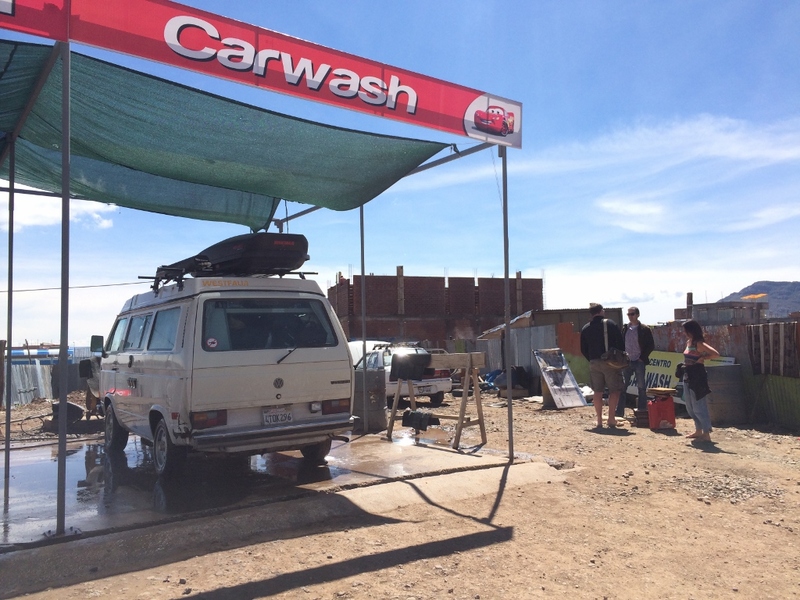 After breaking camp in the morning we headed towards Puno, stopping first for a car wash in order to deal with the gasoline leak that was slowly staining our car yellow. The day after our Salar de Uyuni tour we were scheduled to hit the road right away, but first we ran a few errands in Tupiza, including heading to the central market to shop for lunch supplies. 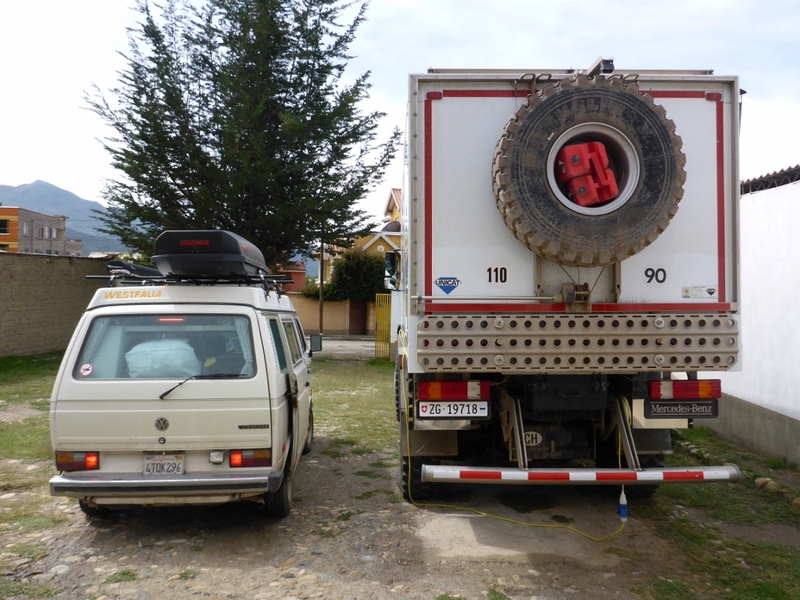 As we headed out of town we tried to find a propane filling station with no luck and then had our first experience buying gas in Bolivia. I don’t quite understand the logic or reasoning, but in Bolivia, only certain stations will sell gas to cars with foreign plates. Those stations that will actually agree to sell you gas are also allowed to charge more than double the listed price. It’s a total racket and it is completely annoying. Leaving Tupiza we had no problem buying gas but we would come to realize later that it wouldn’t always be so easy. 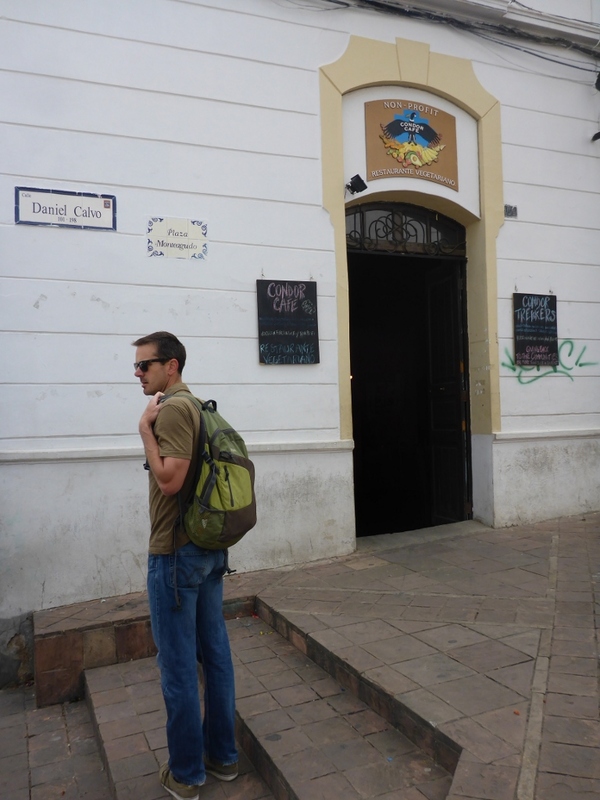 Our destination for the day was Potosí, famous for its silver mines. 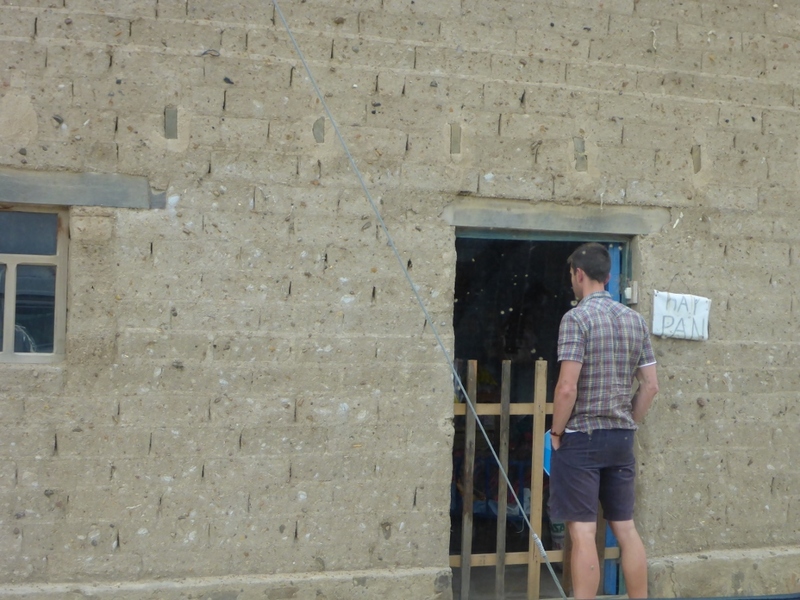 As we drove we started listening to the Marching Powder audiobook about the famous San Pedro prison in La Paz, getting us in the mood for some of the sights we would see later on in Bolivia. The countryside was again beautiful as we climbed up into the hills. 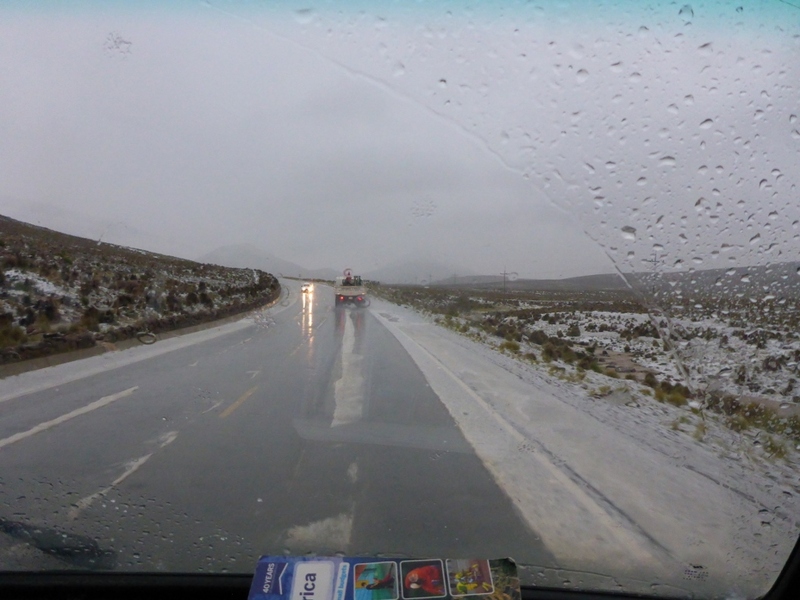 As we came closer to Potosí the weather changed dramatically and all of a sudden the ground was white and it was snowing around us. To top it all off, thunder and lightning seemed to surround us from all sides.